If we observer things around us, we will find many puzzles around us. 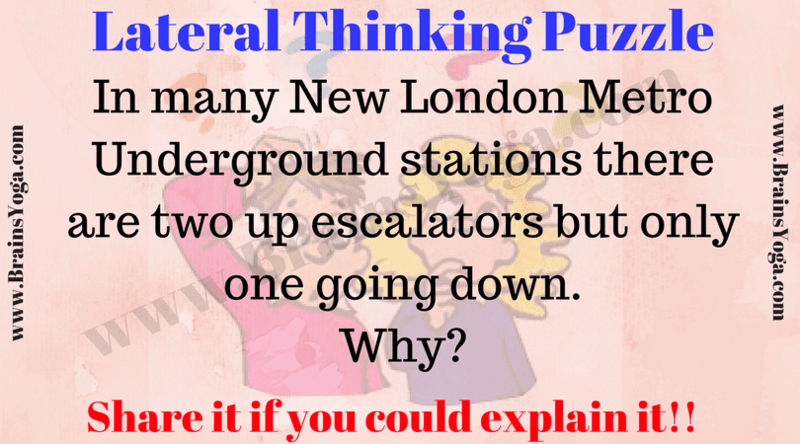 Here is one such puzzle observed at London Metro underground station. However this is true for most of the underground metro stations. 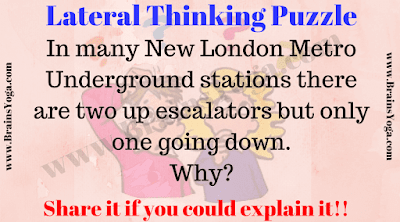 Can you wear your lateral thinking cap and solve this out of box thinking puzzle? When a train arrives at metro station then there are many people in groups simultaneously leaving the station. However people don't come down to station in groups. This is the reason one will find more number of escalators going up than number of escalators coming down.